Will this be the widest cycle lane in Dublin? 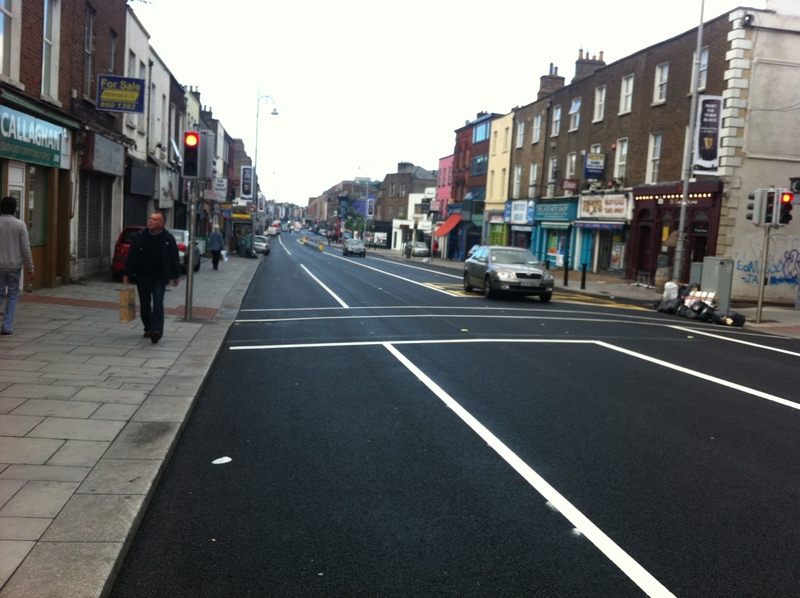 Is this the widest single-direction cycle lane in Dublin? At least the widest inside the canals or so close to the city centre? …Or maybe Dublin Bus are getting mini buses for the routes that serve Rathmines? Here’s a pic with my cargo bike showing the lane size where Richmond Street South meets the junction with Camden Street (heading into two with Harcourt Road to the right and Harrington Street / the South Circular Road to the left). 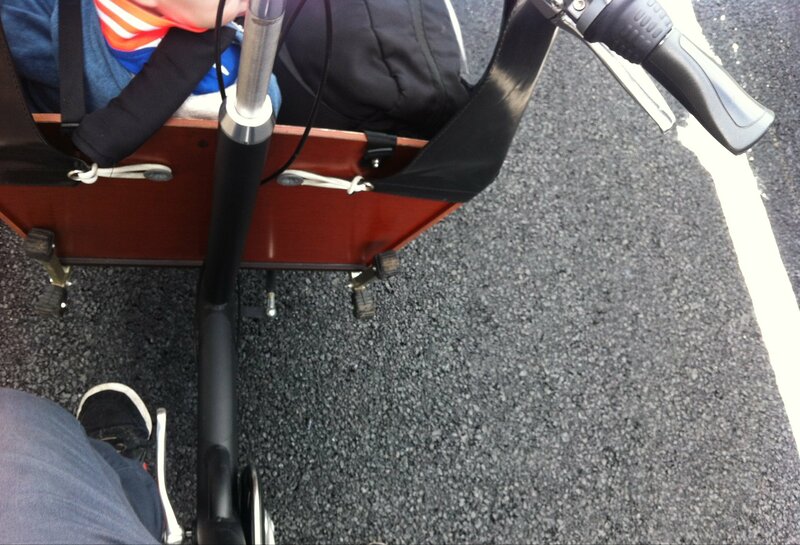 It might not be too clear, but you could fit two cargo bikes side-by-side inside the bicycle lane! We previously covered how the city council just repainted old, sub-standard lanes after major resurfacing work, so it’s great to see some improvements with this latest batch of resurfacing. I saw this. continues along up to rathgar too. I actually thought they had abolished the bike lane for more street parking(€€€).